The Goodman Report has learned from a City of Vancouver planning department employee that a City councillor has filed a motion recommending cancellation of the City’s Secure Market Rental Housing Policy and the deforestation of approximately 10% of Stanley Park which is not being used. The Secure Market Rental Housing Policy, known as Rental 100, is presently the City’s only program designed to stimulate production of market rental housing. Over the years (and especially of late), the program has come under fire as certain city councillors claim that it enables the private sector to receive unwarranted government largesse. 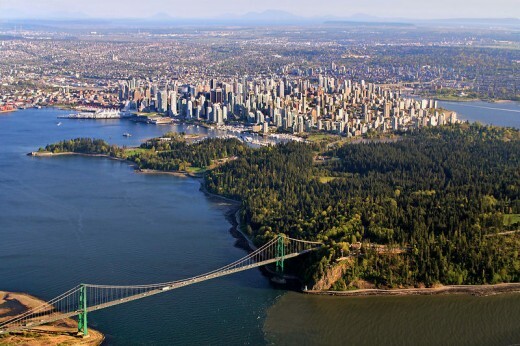 In place of an alternative rental program, the proposed strategy would replace Rental 100 with publicly funded affordable housing units on the lands currently designated as Stanley Park. It is likely that the lumber harvested within the park will be used to frame the new structures. The motion proposes to “suspend, as soon as possible, the extensive use and enjoyment of portions of Stanley Park in order immediately to begin the planning of 15,000 nonprofit units” over the next 10 years, with the first 1,200 completed over the next twenty-four (24) months. The motion is included in Council’s agenda for Tuesday, April 2. City employees including police officers, hospital workers and first responders will be given top priority along with West End seniors who are at risk of being evicted from older apartment buildings. Priority will also be given to millennials who might otherwise leave the city. Under the federal government, the Park has long been a protected asset. The new motion seeks for this protection to be lifted and for City councillors to determine, at their sole discretion, the planning of this large-scale development. The report notes that since this is City-owned land, public hearings will not be necessary. All units will be built without DCL waivers. Only government-approved, locally sourced union workers may apply for the construction contract. The site will be enhanced by underground parking. Every space on site will be internally subdivided 1/2 for car-share vehicle and 1/2 for bicycles. Scope of work will include the draining of Lost Lagoon for purposes of constructing a permanent skate park. Coyotes, Canadian geese, skunks and other wildlife will necessarily be moved as part of a new tenant relocation policy. Significant efforts will be made to retain the Vancouver Aquarium as a venue for housing the geese. If all goes well, 1,200 rental units should be in place by April 1, 2021. Happy April Fool’s. Now go spend some time in the park.